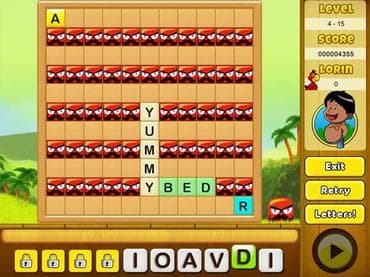 NagiQ 2: Treasure Hunt is an original family-friendly word game. NagiQ 2: Treasure Hunt is a fun word game for the whole family. More than 70 levels of challenging brain-twisting fun of combining words for coins. By matching the words you will defeat the evil pirates, punch skulls, win prizes and much more. Five unique islands with 15 playable levels each. Learn new words while playing NagiQ 2: Treasure Hunt. Download free today. If you have questions about NagiQ 2: Treasure Hunt game, please contact us using this form.